Rugged but decorative cast aluminum. Outdoor post lantern made with durable white powder coat finish over cast aluminum and clear glass. 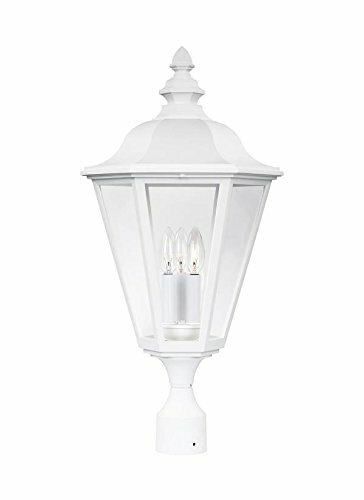 Fits 3" post (sold separately).White Powder coat Cast Aluminum Lantern Top with Clear Glass in Classic Design. Supplied with 6.5'' of wire Clear Bulb recommended for this fixture Powder Coat Finish.